Choose andro NOVACELL OFF and grade up your topspin game with extra precision and sharpness!
. 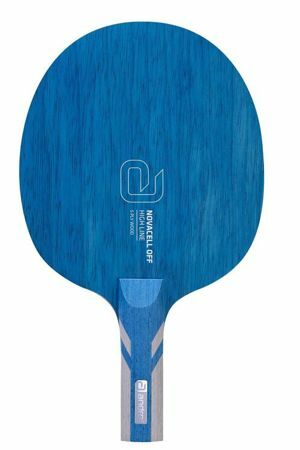 The most versatile andro NOVACELL.
. Five layers of wood, four of which are limba, provide the basic speed and ball feel that is necessary to raise a spin-oriented offensive game.
. The built-in CELL technology reduces vibration, delivers precision and enables you to place effective topspins directly into your opponent's weaknesses.
. Choose andro NOVACELL OFF and grade up your topspin game with extra precision and sharpness!